The right people, the right training with the right tools provides you high quality auto repair in West Bend WI at a surprisingly affordable cost. Our technicians know what to do, do it correctly, do it fast, and with only the necessary parts. You get expertise, fast service, and exceptional value. We hire and train only the right people. 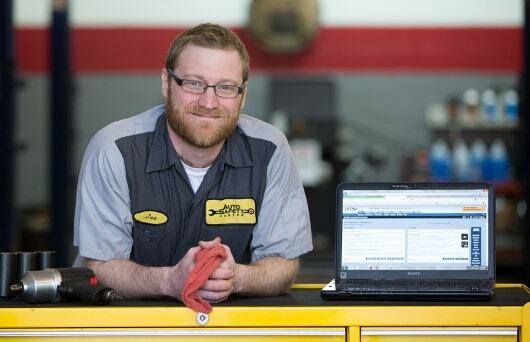 Our ASE Certified Auto Repair Technicians and Service Writers take great pride in their work. They willingly accept the responsibility to attend constant training and certification that ensures you get great value. 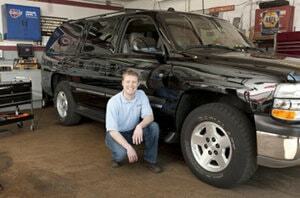 Auto Safety Center performs all major and minor, domestic or import auto repair in West Bend WI area. Fast, honest and accurate car repairs lower your auto repair costs. The right tools in the hands of the right people gets the job done better. Whether it is Auto Safety Center's subscriptions to the latest vehicle repair and service information or our recently upgraded wheel alignment machine, we have the information and the proper tools to get your auto repair job done right the first time. 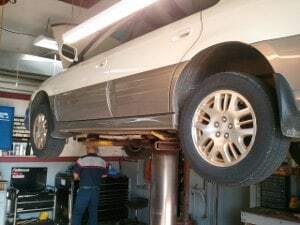 Auto Safety Center Auto Repair in West Bend WI does 4x4 repairs including 4 wheel drive alignment on oversize tires and custom wheels. Repair labor is calculated by using either actual hours spent on the repair, referring to an industry approved labor time guide, or by a job package which includes parts and labor. We use only high quality parts backed by a manufacturer's warranty. If requested, we will make available your replaced parts. Please see our guarantee for more details.